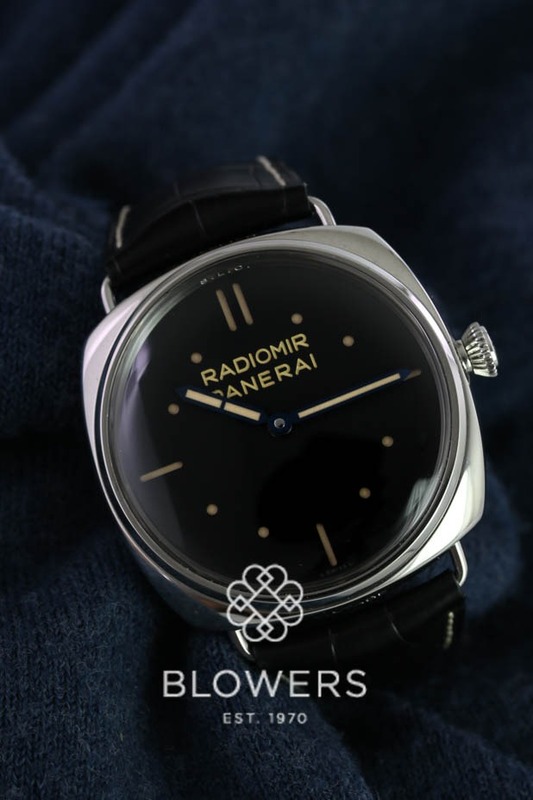 Panerai Radiomir S.L.C 3 Days PAM00449. Special Edition of 750. 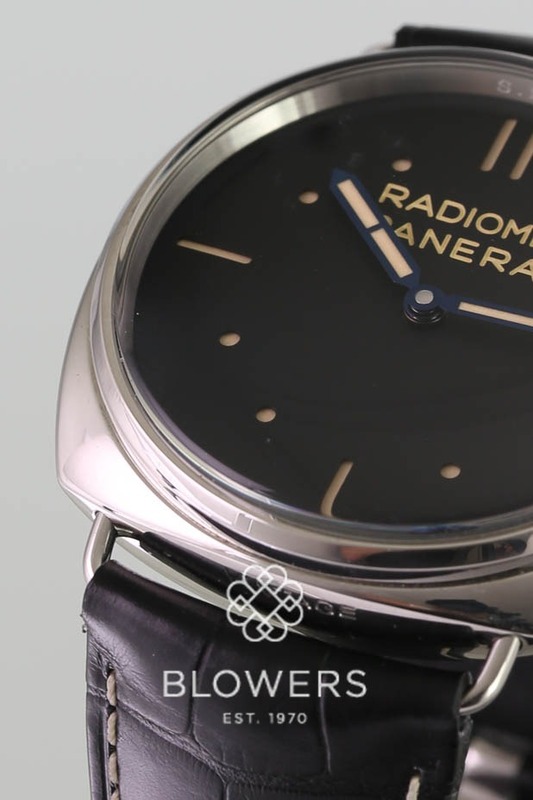 Hand-wound mechanical movement, Panerai P.30000 calibre, executed entirely by Panerai, 16 1/2 lignes, 5.3mm thick, 21 jewels Glucydur® balance, 21,600 alternations/hour. Incabloc® anti-shock device. Power reserve 3 days, two barrels. 160 components. Functions: Hours, minutes. 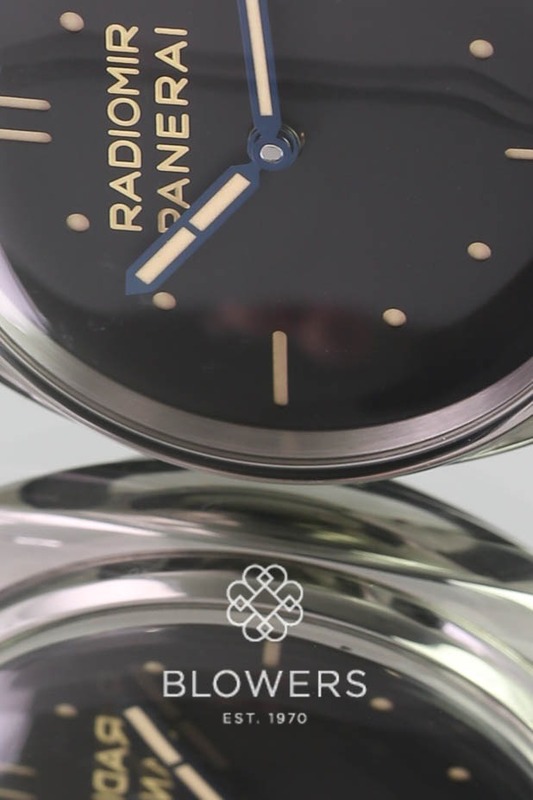 47mm diameter polished steel case. 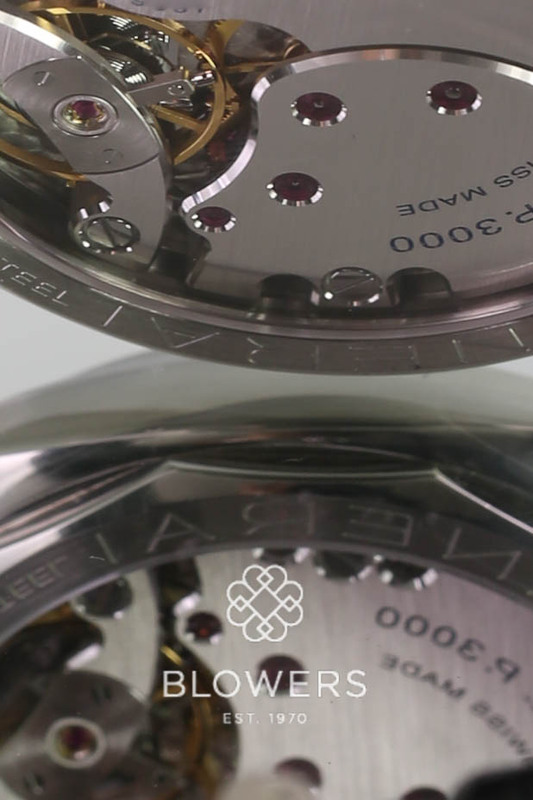 Screw down winding crown personalised OP. 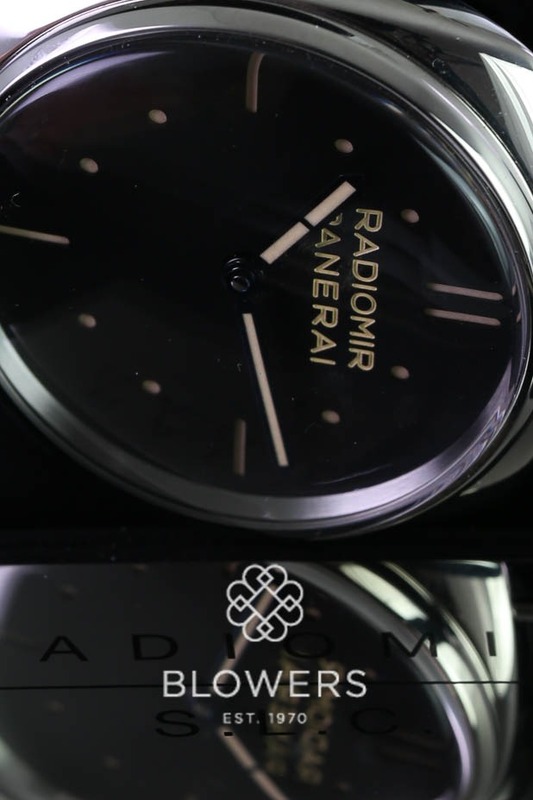 Polished steel bezel, see-through sapphire crystal back. 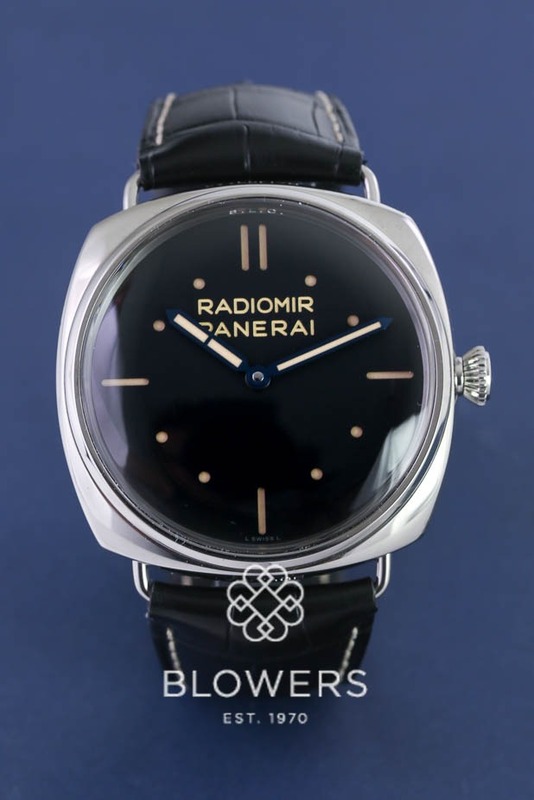 Black dial with luminous Arabic and Roman numerals and hour markers, blue steel hands . Crystal Plexiglas®, 2.8mm thick. 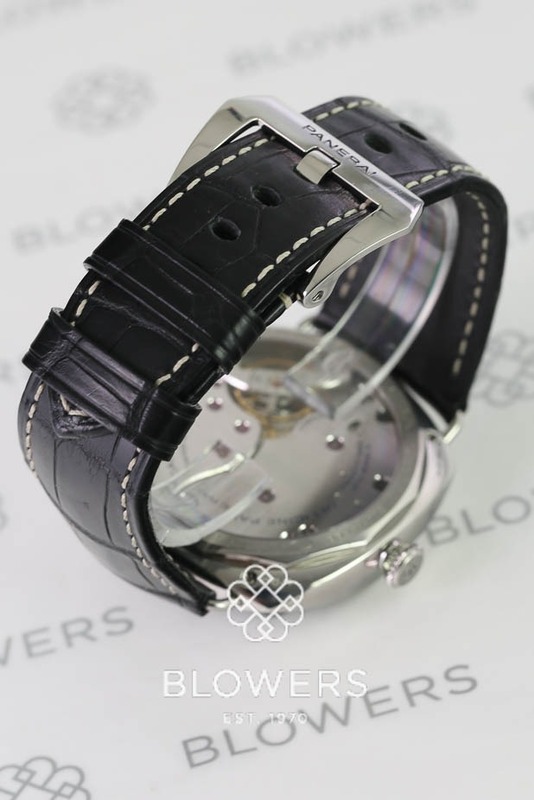 Black croc leather strap with large size polished steel buckle. 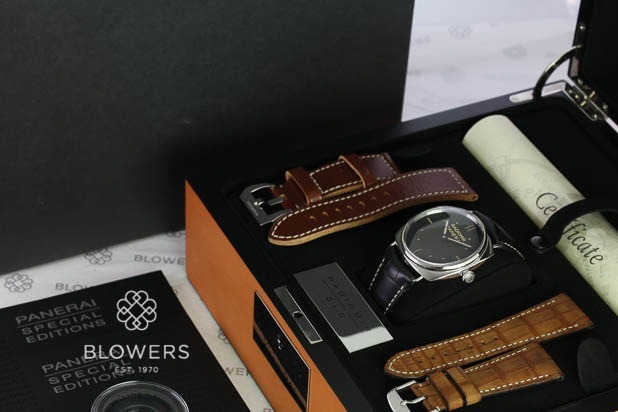 Comes with an additional Tan Croc strap and Tan leather strap. Box and papers dated December 2012. SKU: 3121087. Categories: Panerai, Radiomir.